The truth is that we at Eagle Water Treatment Systems commend companies that produce and sell bottled water. We commend them because, in producing and selling bottled water, they actively promote the importance of drinking high quality, clean water. And there’s almost nothing more important to one’s health than drinking clean, quality water. But, in speaking about bottled water and the companies that produce them, we have to ask one very simple question – what are the consequences? What are the consequences of producing all those plastic bottles of water, which are then used and disposed of? Certainly, disposing millions upon millions of plastic water bottles each year is not a good thing for the environment. Most communities in Canada have plastic bottle recycling programs. But, as we’ll see momentarily, as active and as helpful as these programs may be, they still not cannot stop the ever-increasing river of plastic bottles that enter our landfills each year. To drive home the point further, we at Eagle Water Treatment Systems would like to give some statistics on just how many plastic bottles end up in Canadian landfills each year. Undoubtedly, you’re already familiar with some of these statistics; but, because of their importance and because of the alarming damage that plastic bottles are doing to our environment (and have been doing for many years now), these numbers are worth repeating. As many as 65 million plastic water bottles end up as garbage in a landfill site each year. As a cited example, in the city of Toronto, as few as 50% of the plastic water bottles Torontonians use everyday are recycled. An average plastic bottle water takes 450 years to decompose. Plastic bottles with Polyethylene Terephthalate (PET or PETE) will never decompose. The manufacturing of plastic water bottles creates waste (think of the energy and transportation requirements to make all those bottles). The bottling of plastic water bottles creates waste too (again, think of the energy and other resource requirements to bottle and seal all those bottles). When bottles are eventually disposed of in landfills, they leach chemicals into the ground and into our ground water. So, after reading all of these statistics, and being reminded of the harmful effect of plastic water bottles on the environment, the question is – is there an alternative to bottled water? Is there some other reliable means for Canadians to access clean, healthy, high quality water? Well, it turns out that, yes, there is a very good alternative. We at Eagle Water Treatment Systems take a different and much greener approach to providing clean, high quality, healthy water to our Canadian consumers. Instead of offering bottled water to our customers, our business designs and installs home water filter systems. Why? Because using water filter systems is a far more sustainable and, in the end, far more economical way to get healthy, clean drinking water. One of the best things about having a home water filtration system installed is that all the water you use in your home, and not just your drinking water, will be guaranteed to be healthy and clean of contaminants. That means that once you get an Eagle Water filtration system installed, you’ll be using clean water when you bathe, wash dishes, water the plants and for all the other many household tasks that require water. 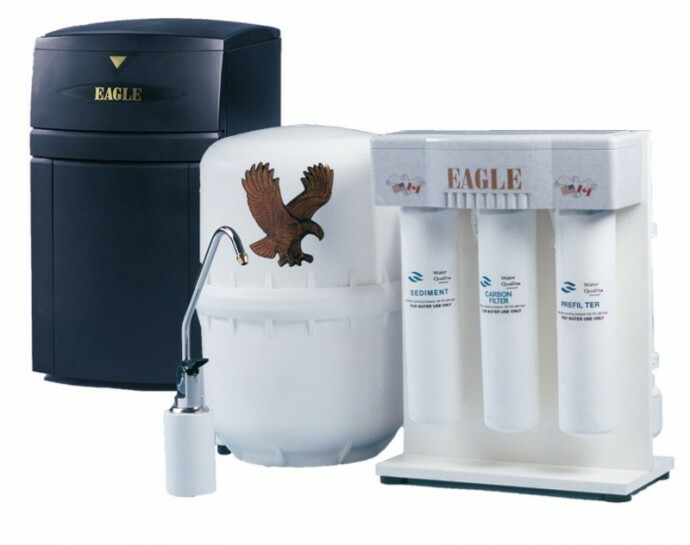 Finally and most importantly, once you have an Eagle Water filtration system installed, you will have the peace of mind of knowing that in using and disposing of less plastic water bottles, you are contributing to helping the environment. Which Is Better, Mains Fed Water Cooler Or Bottled Water Cooler?